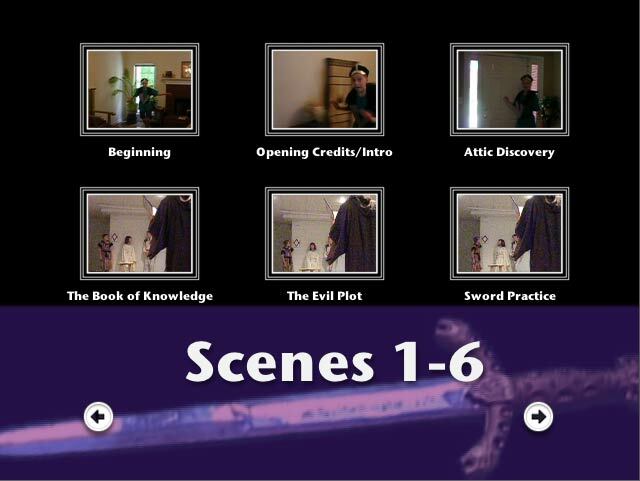 Open up your Final Cut project (unless you left it open all week) and get back to the sequence we built in part one. In order to get the intro separate from the menu background, position the playhead at the marker you added to mark the spot where the intro ends. 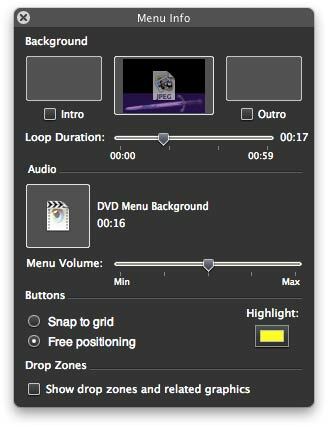 Press the o key to set the end point, and then go up to the file menu and choose Export:QuickTime Movie. Name it “Intro” and export it with the default settings. The intro is exported, so now click inside your sequence window and hit Option-x to clear the in/out points. Now set your in point at the marker, and your out point at the end of the sequence. Run another export like the one above. Call this movie “Menu” and save it where you’ll find it. Launch your iDVD project. Now go find your menu file out in the wilderness of your computer. Drag this file into the project area of iDVD while holding down the Command key (labeled with an apple on all but the newest Mac keyboards). This brings up a menu asking if you want to add the movie or replace the background. 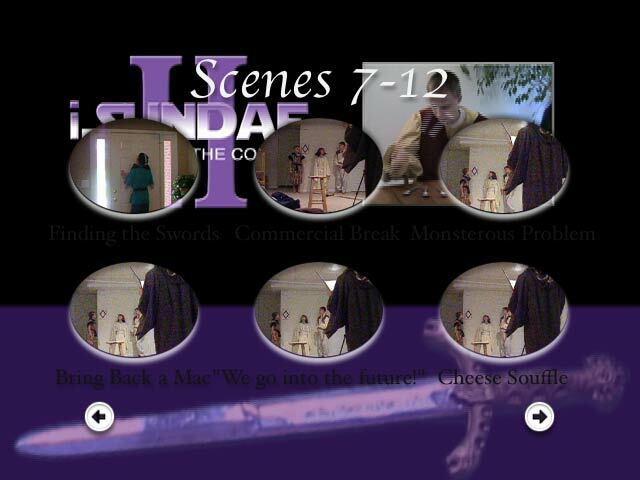 Choose Replace background and iDVD will put your movie into the background. Let’s add the intro now. Click the button to the left of the loop button. This brings up a DVD map. Find the box that tells you to “Drag content here to automatically play when the disc is inserted.” It’s pretty simple. Drag your intro movie here. This makes your intro movie play automatically when your DVD is inserted into a player. When you click the button for scene selection, iDVD will take you to a menu that either looks like the theme we’ve modified, or looks exactly like your fancy custom menu. Neither is good. iDVD builds scene selection menus with six scenes to a menu, and as far as I know, there’s no way to change this. Unfortunately, this means that you have to have considerable space on your menu to fit six buttons on, especially if you want a preview movie. Here’s how I fix this. Create a menu that looks like your first one, but this time, leave the top or bottom two thirds empty. Also, add a colored area to the remaining third. It’s probably a good idea to have no motion elements at all. Because of this, you can make this menu in Photoshop, or just export a still frame from Final Cut. Get to your scene selection menu and click the info button. You should see a whole lot of options. Up at the top are three boxes. The middle one is the menu. Drag your scene selection menu into it. A little farther down should be a section for audio. Again, there’s a box. Drag your first menu movie into the box, and iDVD will use the audio from the movie as the background music. The buttons are probably all out of order, probably quite like the picture of mine. Let’s fix it. Select any button and drag it to a new position. Do this to the rest of the buttons until you have them all arranged nicely in order. Click and drag to select all of the buttons. The info window should change to show that you are now editing all buttons. Start by choosing a smaller font size. You may also want to change the font entirely, or maybe change the button color. Then head over to the right side of the main iDVD window. On the lower right, there is a set of three buttons. We’re interested in the middle one, labeled “Buttons.” Once you click that button, you will be in the button editing mode. Select “Frames” from the menu at the top, and then pick one that you like. The frame is probably still too big, so go back to the info window, find the slider for size, and scale the buttons down until you like what you see. Repeat these steps for all the rest of the scene selection menus. Well, look at that. I’m out of space again! Next week, I’ll break down Easter eggs and more button customization options. In the meantime, you might want to use iDVD’s preview mode to view your amazing custom DVD. Oh, and here’s how mine ended up after customization. This entry was posted in Blog, DVDs, Movies, Software, Tips and Tricks and tagged custom menu, dvd, final cut, iDVD, menu, scene selection. Bookmark the permalink.